Be there when they need help most! When you become a Caretaker of the Center, you join a caring community of monthly givers. 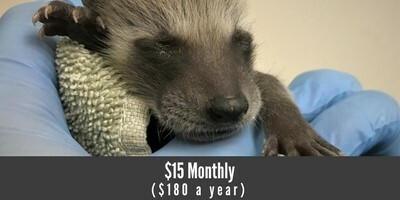 Caretakers provide critical veterinary treatment to sick, injured, and orphaned wildlife in need now, and help people of all ages learn how to preserve nature for future generations – all year long. If you want to make an even bigger difference for wildlife, you can! By spreading out a donation in smaller monthly amounts, you can give more to help animals and people thrive. Caretakers of the Center can also choose to make quarterly donations to reach an annual giving goal. Ready to become a Caretaker of the Center? Sign up now! 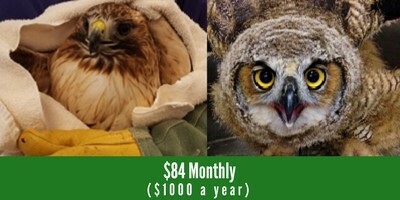 See the difference you can make for local wildlife for as little as .50 cents a day. And helps bring nutritional and socialization support to an orphaned baby raccoon. Orphaned animals often arrive at our hospital without fur or feathers. Sometimes their eyes are still closed. They require weeks of specialized care before they can return to the wild. 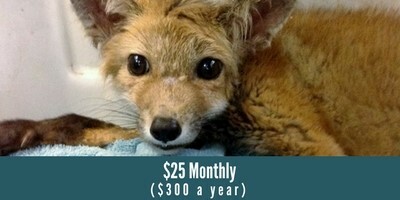 And helps provide emergency surgery and rehabilitative care for a fox with a broken leg. Wild animals can suffer traumatic injuries as the result of falls or attacks from predators, as well as man-made causes such as accidentally getting hit by a car. And helps deliver therapy to birds of prey to remove toxic levels of rodenticide. The number of birds of prey such as hawks and owls, as well as other mammals coming to NEWC’s wildlife hospital debilitated by rodenticide (rat) poisoning has skyrocketed in recent years. Interested in becoming a Caretaker of the Center? Q: What are Caretakers of the Center? Answer: Caretakers of the Center are a dedicated community of monthly givers who help care for sick, injured, and orphaned wildlife and preserve nature for future generations all year long as recurring donors. Monthly giving is a convenient, affordable, and efficient way to provide help when and where it’s most needed. Caretakers tell us they like being able to give more when their donations are spread out into smaller increments each month. Q: How will my recurring monthly gift help wildlife? 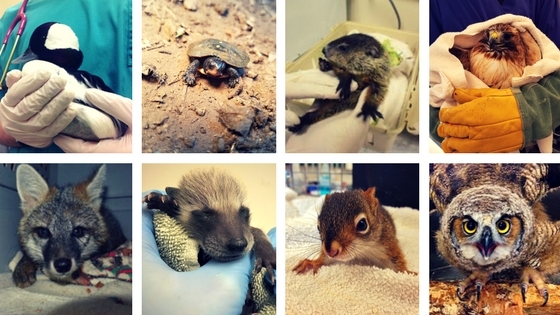 Emergency veterinary care for sick and injured wildlife. Low-cost veterinary care for nature and science centers such as Boston’s Museum of Science and Massachusetts Audubon Society’s Drumlin Farm. Hands-on educational programs help people of all ages learn how to preserve nature. Q: Are there any other perks for Caretakers? A complimentary “behind-the-scenes” guided tour of NEWC to see the difference you are making for wildlife. An annual giving statement each January for tax purposes. Invitation to NEWC special events and regular updates about our wild patients. Q: How do I become a Caretaker of the Center? To donate automatically each month please make your selection for the payment amount and hit the “Subscribe” button!